With recent advances in technology, automated machine design has become a choice for many businesses looking to improve production efficiency and minimize cost. Our team of mechanical and electrical engineers create custom equipment to suit your needs and improve your business operations. Custom automation can be expensive, which is why we build our automation solutions using modular aluminum extrusion. This modularity provides great versatility and enables us to adapt designs as needed to scale with your needs at a fraction of the cost. Reliability is critical for ensuring that an automated equipment remains functional. 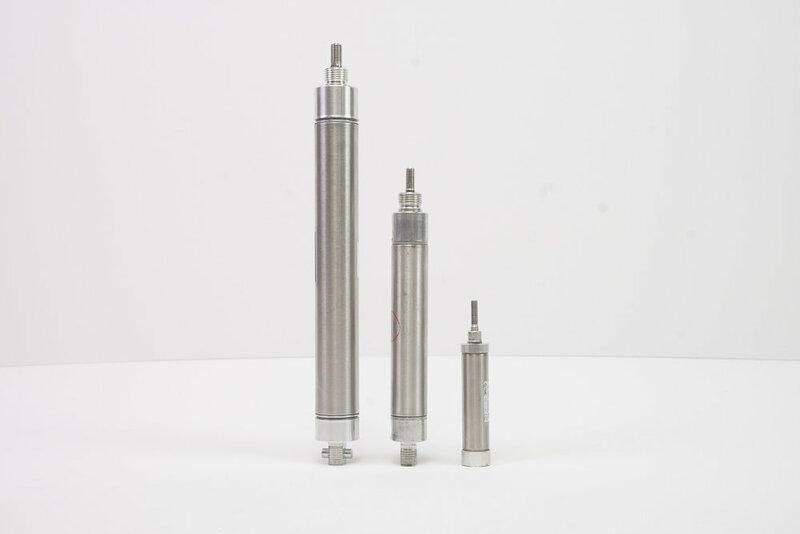 By incorporating high-quality pneumatics, electrical motors, and various sensors into our designs, we deliver dependable solutions. There are many benefits to incorporating computer processors into automated equipment. Adding processing power, or “a brain”, to your machine in the form of integrated circuits and micro-controllers not only simplifies the maintenance and update process, but also allows for easy monitoring, control, and optimization of day-to-day operations.